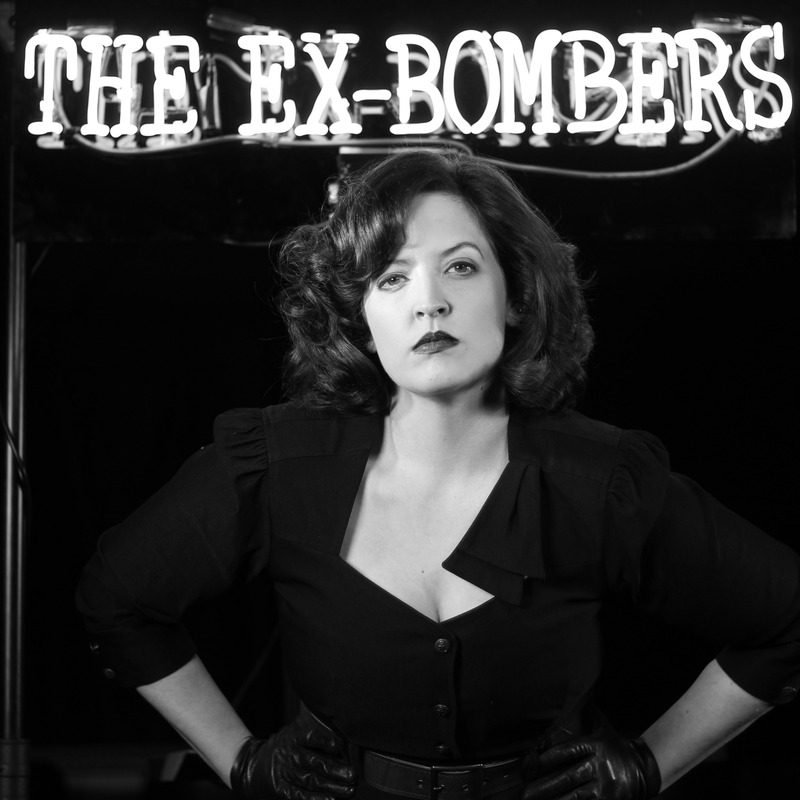 The Ex-Bombers are a femme fatale with a film noir beat who mix sultry rhythms with narcotic melodies. 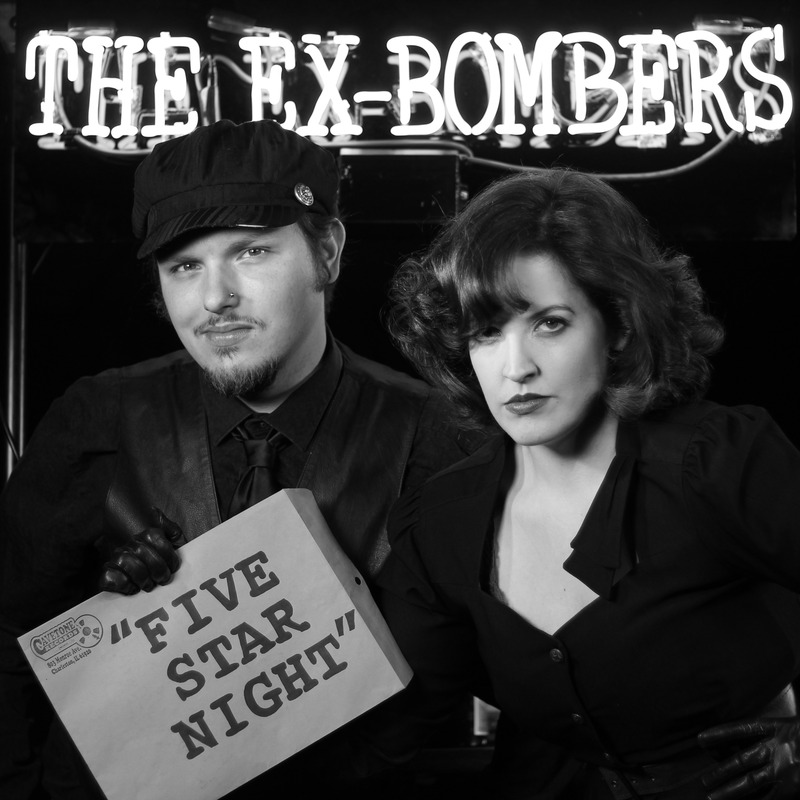 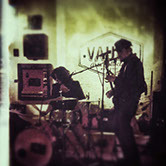 Since 2010, the Charleston, IL duo have made a seedy and avant form of pop fit for scoring spy films and neon nights. Critics have dubbed their music as “jazz for dirtbags” or “punk for beatniks.” Both descriptors hint at the maximum minimalism found on their two full-length LPs as well as the raw cabaret element they bring to live performances. Keri Cousins provides the sultry rhythms on a tom-less drumset as Scott Walus plays the narcotic melodies on a weathered Hagstrom 8-string bass (EADG octaves). They combine their distinct voices to weave together dark and catchy songs in the vein of the flippant sounds of early Velvet Underground/Sonic Youth with the style of Soft Cell/Girls Against Boys. 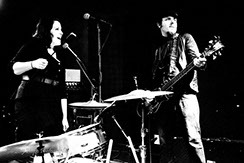 Their discography exists only on vinyl without a digital counterpart. 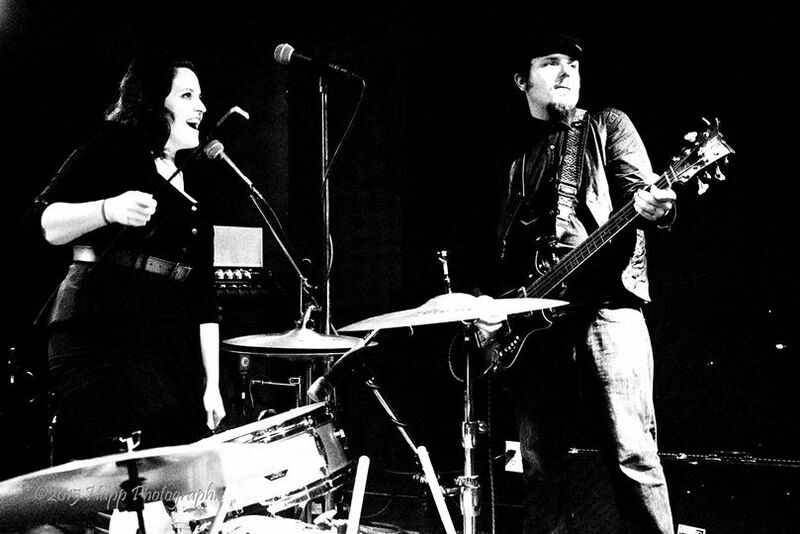 Their 2012 debut LP “The Tightwire” began the story of the subterfuge in the city. 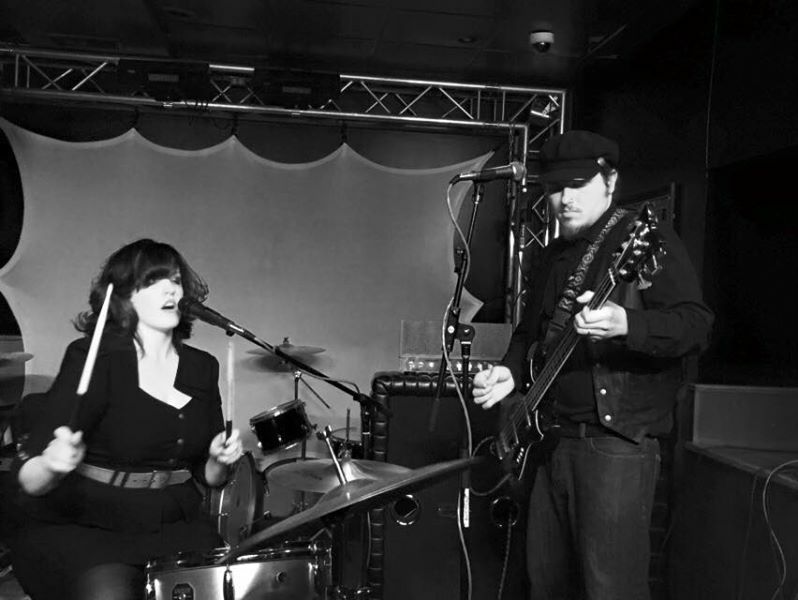 In 2013, they released their infamous anti-single “Kissing Hands, Shaking Babies” on seven inch vinyl to much intrigue. 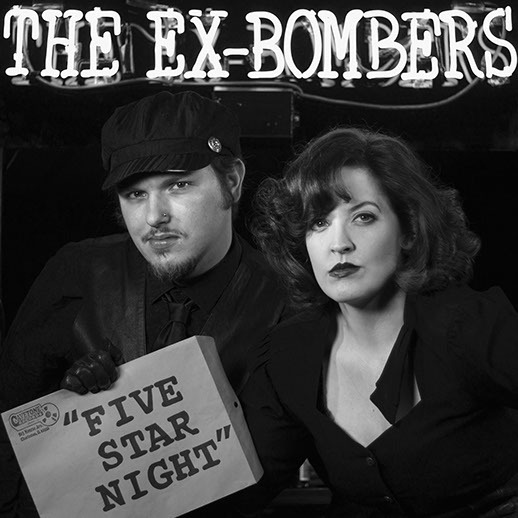 In 2015, they released their second LP, “Five Star Night.” This latest record exemplifies their approach to maximum minimalism through its hi-fi approach to lo-fi situations. 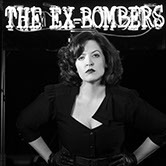 The Ex-Bombers are currently playing dates in support of their vinyl releases. 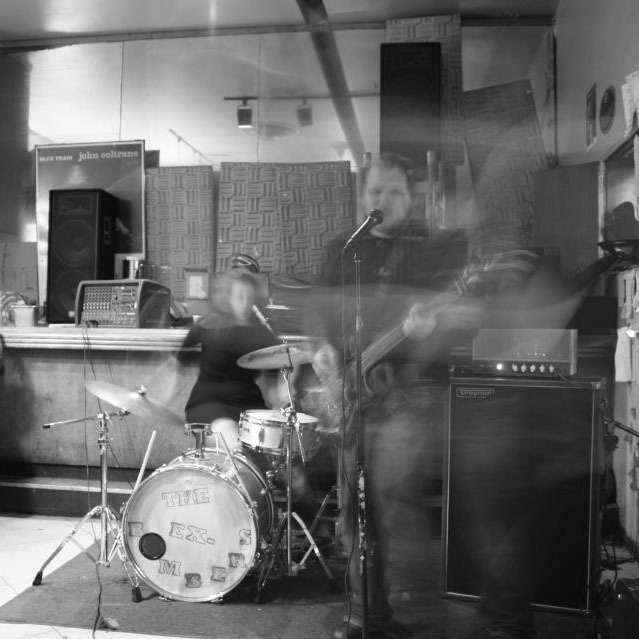 During the daytime, they can be found living the snack life at independent record stores, innovative coffee shops, and any other location that still values human interaction.